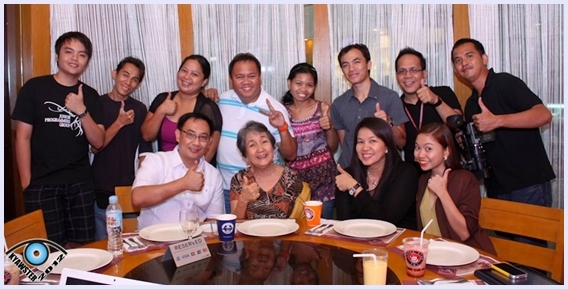 Bayan Telecommunications (BAYAN) brings it's popular brand ambassador and the 'Net Generation's favorite lola - Lola Techie - to the vibrant and bustling city of General Santos to take part in a series of activities in conjunction with the city government's computer literacy training program for senior citizens. Bayan has partnered with city government of General Santos thru it's S.H.E.E.P. - Computer Literacy Program (SHEEP-CLP) and the Office of the Senior Citizens Affairs (abbrev. OSCA) in its mission to continue propagate its award-winning Teach Lola advocacy campaign that is geared towards encouraging the older generation to connect with present Internet Generation by breaking the digital divide spawned by the generation gap by way of learning computer skills that will get them connected to world via the World Wide Web. Jojo De Jesus, Bayan’s Vice-President for Marketing, cited the current situation we see today where the young generation are communicating more and more thru computers using tools such as Facebook and Twitter, which unfortunately the older generation are not familiar with and find uncomfortable using, thus widening the so-called generation gap. “In line with our thrust as a company of letting the Filipino voice be heard, we have come up with the Teach Lola program with objective of encouraging the young people to teach their grandparents how to use these new technologies, and in the process help rekindle their relationships with their loved ones,” says De Jesus. Grace M. Braga Bayan’s head of sales for Mindanao, said Bayan has chosen to partner with the City Mayor’s Office on this project because of their shared collective vision for development through the use of technology particularly for the senior citizens of GenSan. In a culmination program organized by the city government’s SHEEP-Computer Literacy Program and the OSCA dubbed “Lola Techie salutes the Generals” held at the atrium of Robinson’s Place mall, Bayan’s likeable Lola Techie lead the roster of special guests from Bayan and the city government of General Santos spearheaded by Mayor Darlene Antonino-Custodio, in presenting the certificate of completion to the more than 100 participants who have undergone the three-day computer literacy workshop. As the inspirational speaker at the event, Lola Techie told the Gensan’s senior citizens graduates of the program to never stop learning and asked them to continuously keep abreasts with the changing times by way of the mastery of the use of computers as a medium of communication. She cited Bayan and the City Government of Gensan for their untiring commitments in helping the senior citizens, whom she said comprises now the majority of the nation’s population, become more useful and productive citizens of our society. Lola Techie said she is glad that Bayan as a service provider and technology company continues to bring to the market product and services like the different DSL internet packages and bundles that are affordable, reliable and easy to use. She also provided words of encouragement to the audience gathered by telling them not to look at their old age as a hindrance to be able to connect with today’s younger generations as well the coming future generations, but rather see it as a vital tool to connect with the present generation because of the vast learning experiences that they can offer to them from all that they (as older people) have gone thru in their lives. A highlight of the program was the turn-over by City Mayor’s Office of five (5) brand new computers and Bayan Telecommunications’ donation of internet connection to the OSCA in support of the City Government’s computer literacy program. The said donation will be used to continue the offering of free training on basic computer operations and Facebook to interested and bonafide senior citizens of the city. Another highlight of the event was the launching of the official homepage of the senior citizens. The web page was developed by the SHEEP-CLP team of consultants and trainers in information technology. It will act as portal to OSCA-Gensan showcasing the past, present and future milestones of the seniors sector.